When it comes to buying Highlands real estate it is important to understand the difference between pre-approval and pre-qualification. The lending process can feel complicated at times, as a result it helps to arm yourself with knowledge. Talk to your Highlands REALTOR to find a qualified local lender. Pre-qualifying for a home loan is a process whereby a buyer gets an understanding of what he can afford. This process takes a look at a buyer’s debt to income ratio, assets, and debts. This is considered a simple piece of the lending puzzle, one which give a buyer a dollar amount to keep in mind when looking to buy a home. Getting pre-approved for a loan to purchase a home is a more in-depth process. This looks at an actual loan amount that a buyer will be able to secure. This process includes verifying income, assets, tax filings, employment and the like. Essentially this is a first step in underwriting the loan. Pre-approval is far more serious and means more to a seller. Contact our team at Berkshire Hathaway HomeServices Meadows Mountain Realty today to learn more about buying a home in Highlands NC. We welcome the opportunity to get you up to speed with the process while recommending reputable local lenders at the same time. Let our knowledge and experience serve as your guide to buying Highlands real estate. 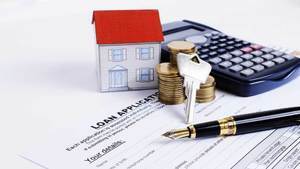 Click here to read “Get Pre Approved for a Mortgage – How It Works” from Realty Times.